St Peter’s church at Heversham is a mishmash of Norman, medieval and 18th and 19th century architecture. 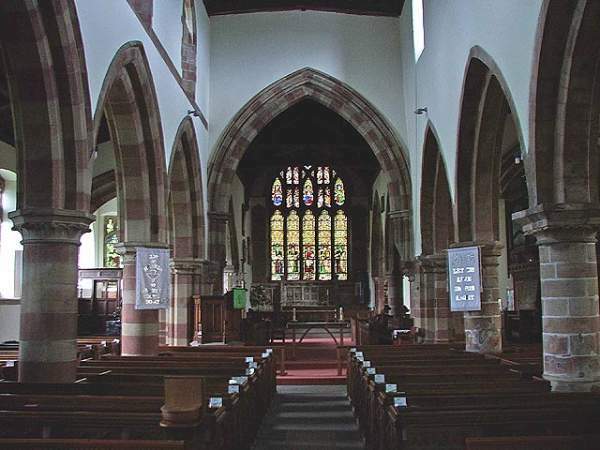 The Northern section of the church is definitely Victorian, however, two of the piers down the centre aisle of the church are all that remains of the original 12th century structure. The chapel at the Northern head of the church is 16th century, but contains a 13th century window. The screen at the South end of this chapel is dated 1605. The church suffered a catastrophic fire in 1601, resulting the destruction of nearly all of the furniture and contents of the church. 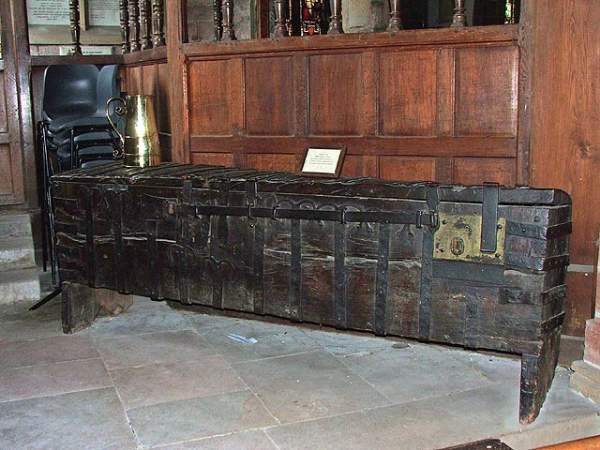 The only surviving item from this time, is the huge 14th century Parish strong box, stored just behind the North chapel. It was used up until the end of the 19th century, and is reputedly the oldest and largest parish strong box in Westmorland. The Vestry book recorded: ‘Wheras it fortuned through the negligence of a careless workman, being a plumber, anno christi 1601, on Wednesday being the first day of July, the Parish Church of Heversham, in the County of Westmorland was utterly consumed with fire with all implements, ornaments, books, monuments, chests, organs, bells and all other things perished’. Just inside the main doorway, lays the remains of an 8th century cross, decorated with grapes, scrolls, birds and beasts. The church also has a number of old sandstone gargoyles on the Eastern external wall. Some of these are extremely weather worn and it’s difficult to make out some of the detail, whilst some of the others are still in reasonable condition and facial expressions can be clearly seen. 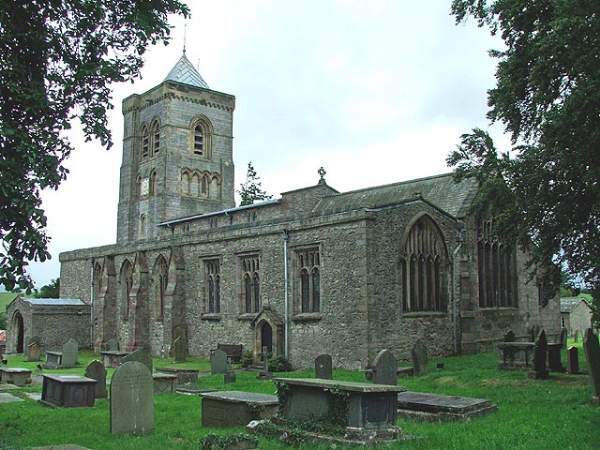 The West tower of the church is attributed to Paley and Austin, and was built in 1869/1970. There are many stained glass windows, by a variety of artists. The East window, by William Warrington, dated 1844, is of St Matthew, St Mark, Christ with a child, St Luke, and St John. Words and photos by Matthew Emmott.